Making sense of the COMESA Competition Commission’s merger notification site is no easy undertaking. The perplexing nature of its case-numbering system mirrors perhaps only the level of confusion surrounding the CCC’s original merger threshold and notification-fee guidelines (e.g., see here on that topic). As we pointed out here, the merger statistics (as they had been released as of January 2016) for 2015 were disappointingly low. In today’s post, please note that we are upgrading those numbers, however, to reflect additional material now made available on the official CCC web resource, reflecting 3 additional filings, bringing the year-end total for FY2015 to 18. Three of those were “Phase 2” cases. In addition, according to the CCC, there were 3 supplemental cases in which “Comfort Letters” were issued to the parties. For year-to-date 2016 statistics, the numbers look analogous, albeit somewhat higher than the 2015 slump — that is to say, still diminished from the 2013-2014 height of COMESA ‘mergermania’, during which (mostly international) counsel took the confusion surrounding the CCC notification thresholds to heart and erred on the side of caution (and more fees), advising clients to notify rather than not to (65 in the 2 years), or to seek Comfort Letters, which also were issued in record numbers (19 total for the 2-year period)… With that said, the agency is now up to 16 merger cases, with 2 Second-Phase matters on deck. On 31 May 2016, the South African Competition Commission (SACC) recommended that that the Anheuser-Busch Inbev/ SABMiller merger be approved subject to various conditions relating to both competition and public interest concerns. From a procedural aspect, the SACC’s recommendations are made to the South African Competition Tribunal, the adjudicative body ultimately responsible for approving a merger. The SACC’s recommendations are not binding on the merging parties or the Tribunal. To the extent that the merging parties, or third parties, are concerned about the merger or the SACC’s recommendations, they may elect to participate in the hearing before the Tribunal. In cases where neither the merging parties nor any third parties contest the SACC’s recommendations, the Tribunal usually rubber stamps the SACC’s recommendations. We note that in terms of the SACC’s proposed recommendations, that the merging parties have made numerous undertakings to address the SACC’s concerns. AB Inbev will continue to comply with the existing terms and conditions of the current agreements which exist between SABMiller and ‘owner-drivers’. The merging parties have agreed to the majority of the conditions imposed on the merger. We note, however, that the SACC’s media statement does not make it clear that the merging parties have agreed to the divestiture recommendation. The merging parties have also not agreed to the proposed condition relating to a commitment to continue to supply small beer producers with hops and malt. Accordingly, even in the absence of any third party intervention, this merger may still be contested before the Tribunal. While the SACC’s official recommendations have not yet been published, it appears to us that a number of the concerns raised by the SACC relate to pre-existing concerns which are not merger specific. Furthermore, important aspect of the proposed recommendations, even those which have been agreed to between the parties, will be in perpetuity. Furthermore, although what may appear to be a relatively innocuous proposed conditions which the merging parties shave agreed to, is that AB Inbev will respect the current existing contractual arrangements as between SABMiller and ‘owner drivers’. Approving a merger subject to such a condition poses an interesting conundrum. What happens in the event that there is contractual dispute between Ab-Inbev and owner drivers in the future? Will the Tribunal have jurisdiction to hear such disputes and could the merged entity be subject to penalties for breaching a condition of the merger, despite a contractual dispute which may have little if anything to do with the merger itself? We have previously, here on Africanantitrust raised our concerns regarding the merger specificity of the R1 billion development fund. To access our previous article on this topic, please click here. In our view, the Competition Tribunal should satisfy itself that the proposed conditions, even if agreed to between the merging parties, should address merger specific concerns and nothing more. A decision by the Tribunal is precedent setting and has an impact on the transparency and certainty of the merger control process in South Africa. When mergers are approved subject to conditions which go beyond merger specificity, uncertainty is created. The editors and authors at AAT welcome you to our new semi-serial publication: “The WRAP.” In this first WRAP edition, we look back over recent months and provide an overview of the key recent developments which antitrust practitioners and businesses alike should take note of in respect of merger control and competition law enforcement. As always, thank you for reading the WRAP, and remember to visit AAT for up-to-date competition-law news from the African continent. (William Kovacic, “Policies and Partisanship in U.S. Federal Antitrust Enforcement” (2014) Antitrust Law Journal, Vol. 79 at 704). In their article entitled “Developments in South African Merger Control – Ministerial Interventionism and the Impact on Timing & Certainty,” John Oxenham, Andreas Stargard, and Michael Currie argue that, while the existence of ‘public-interest’ provisions in merger control is an express feature in certain jurisdictions’ antitrust regimes, the manner and regularity with which they are applied remains a significant challenge both for antitrust practitioners and for their clients gauging certainty of their foreign investments. A consideration of the developments in the South African context indicates the substantial risks associated with the manner in which antitrust agencies and governmental departments approach public interest considerations in merger proceedings. Merging firms, particularly multinationals, need to be acutely aware of the challenges and risks associated with the use of public-interest considerations throughout merger-control proceedings in South Africa. Recent interventionist strategies have had a significant impact on two key features: the timing and cost of concluding mergers in the region. The paper was presented at this year’s ABA Antitrust Spring Meeting, the largest competition-law focussed conference in the world, taking place annually in Washington, D.C. AAT’s readers have exclusive free access to the PDF here. As reported yesterday, AB InBev has agreed to a R1bn ($69m) fund to buoy the South African beer industry and to “protect” domestic jobs. It is widely seen as a direct payment in exchange for the blessing of the U.S. $105 billion takeover of SABMiller by InBev — notably occurring outside the usual channels of the Competition Authorities, instead taking place as behind-closed-door meetings held between the parties and the Minister for Economic Development, Ibrahim Patel, and his staff. AAT has reported previously on “extra-judicial factors,” as well as the interventionism by the current ministry. This latest deal struck by Mr. Patel and the parent of famed Budweiser beer includes a promise by the parties to preserve full-time employment levels in the country for five years after closing, according to AB InBev. Moreover, the companies pledged to provide financial help for new farms to increase raw materials production of beer inputs like hops and barley. This is especially true as the current deal involves the takeover of SABMiller, an entity that controls 90% of South Africa’s beer market. From a pure antitrust perspective, this transaction would certainly raise an agency’s interest in an in-depth investigation on the competition merits — not merely on the basis of job maintenance and other protectionist goals that may serve a political purpose but do not protect or assure future competition in an otherwise concentrated market. In terms of the Act, transactions that are defined as “intermediate mergers” and “large mergers” must be notified to the Commission and may only be lawfully implemented if it has been approved, with or without conditions, by the relevant competition authorities. Small mergers do not have to be notified in the ordinary course and may be implemented without approval unless required by the Commission. Large Merger Combined assets and/or turnover of at least R6.6-billion. AND Assets and/or turnover of at least R190-million. Intermediate Merger Combined assets and/or turnover equals or exceeds R560-million but is less than R6.6-billion. AND Assets and/or turnover equals or exceeds R80-million but is less than R190-million. Small Merger Combined assets and/or turnover of less than R560-million. OR Assets and/or turnover of less than R80-million. In light of the above, it serves as an important reminder to parties that they ensure compliance with the competition authorities and the Act so as to avoid costly consequences. 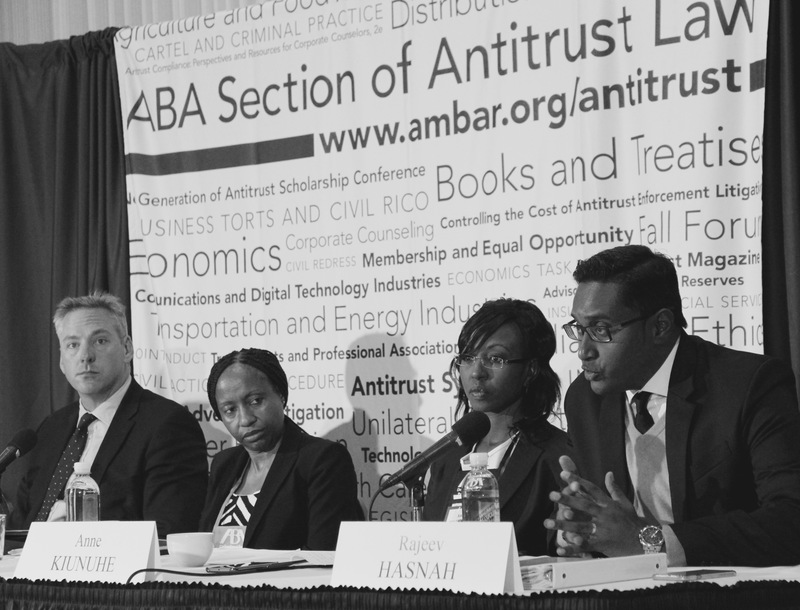 The 54th annual American Bar Association Antitrust Spring Meeting was held in Washington, D.C., during the second week of April 2016 and the AAT editors were there to ensure that we provide our readers with an update on the latest developments in relation to African antitrust issues, discussed during a panel held last Friday. Given that mergers hit a global all-time high last year with the total value of transactions amounting to over USD 4.6 trillion, merger control is certainly at the forefront of many antitrust practitioners. The interest in mergers and acquisitions has perhaps gained even further attention in light of the announcement this week that the USD160 billion Pfizer/Allergan global mega-deal has been officially abandoned, despite the transaction having already been filed before all the relevant competition agencies around the world. While the Pfizer/Allergan deal was called off as a result of new tax laws and therefore not as a result of antitrust issues directly, the deal did put multinational mega-deals firmly in the spotlight. The Pfizer/Allergan deal is not the only mega-deal that faced significant government opposition. It was announced this week that Halliburton’s takeover of Baker Hughes, in a deal valued at USD 25 billion, is going to be strongly opposed by the U.S. DOJ. It is, however, not only the U.S. Government that is having a significant impact on multinational deals, as evidenced by the Anbang Insurance and Starwood Hotels & Resorts deal, valued at USD 14 billion, which has also been abandoned after mounting pressure by the Chinese government. From an African perspective, the South African Competition Commission just last week extended its investigation in the USD 104 billion SABMiller and Anheuser-Busch InBev merger. It is widely suspected that the request for the extension is due to intervention by the Minister of Economic Development, in relation to public interest grounds. Although there is no suggestion at this stage that Minister Patel is opposing the deal, the proposed intervention does highlight bring into sharp focus the fact that multinational mega-deals face a number of hurdles in getting the deal done. ‘Getting multinational deals through’ is a hot topic at the moment amongst antitrust practitioners and is and the ABA thought it beneficial to have a panel discussion dedicated purely to merger control issues across African jurisdictions. In particular, the panel addressed some of the key issues which merging parties need to consider, including inter alia issues relating to harmonisation across agencies, the role of public interest considerations, prior implementation and the need for upfront substantive economic assessments. The panel consisted of a varied mix of panellists from both private practice and government, and included Pr1merio director John Oxenham (he is also a founding partner at South African based law firm Nortons Inc.), economist and former Commissioner of the COMESA Competition Commission (COMESA CC) Rajeev Hasnah (Rajeev was also a former commissioner of the Mauritius Competition Commission and is an economist for Pr1merio), manager of the South African Competition Commission office, Wendy Ndlovu, and Kenyan based external counsel Anne Kiunuhe (Anne practices at the law firm Anjarwalla & Khanna). The panellists were tasked with addressing a variety of topics: we summarise below some of the key issues which the panellists highlighted, which merging parties, practitioners and antitrust agencies themselves (amongst whom Tembikosi Bonakele, the South African Competition Commissioner was present in the panel audience) should be cognisant of in relation to merger control in Africa. 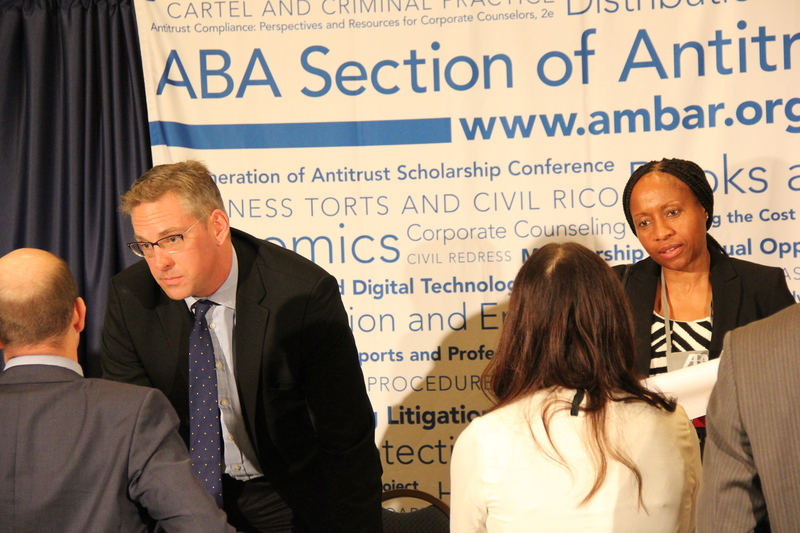 John Oxenham and Wendy Ndlovu at ABA Spring Meeting 2016 in Washington, D.C.
John pointed out that from a South African perspective, mergers undergo a robust evaluation by the Competition Authorities and that although the investigation of most large mergers is completed within 60-70 days, the fact that the Commission may request the Competition Tribunal for an extension of up to 15 business days at a time, may result in the investigation of certain mergers taking considerably longer. The risk of a merger being delayed is increased significantly due to the level of third party interventionism, particularly ministerial intervention on public interest grounds. John advised that merging parties should consider the impact that a particular merger will have on the public-interest grounds upfront to avoid delays in the investigation period as a result of further requests for information from the Commission, or may even amount to an incomplete filing. In respect of substantive economic assessments, John pointed out that a number of jurisdictions, including South Africa, Namibia, Zambia and to a lesser extent Botswana, requires a substantive upfront economic assessment. In this regard the South African Competition Commission is perhaps the most robust in its economic evaluation of a merger in light of the resources dedicated to its own in-house economic department as well as utilising external experts when necessary. John also highlighted the fact that the South African Competition Authorities rely on oral testimony and expert witnesses are often subjected to substantial and lengthy examination and cross examination before the Competition Tribunal. On harmonisation, John confirmed that in relation to public interest considerations in merger control, the South African competition authorities play a leading role on the African continent and pointed out that in addition to Kenya and Tanzania, Namibia also considers public interest considerations and that there is a substantial amount of collaboration and information sharing between the South African and Namibian competition authorities, as was the case in the Walmart/Massmart deal. Despite the information sharing between agencies, John confirmed that there are rules in place to protect confidential and legally privileged information and that the South African competition authorities are cognisant and respectful of these provisions. Rajeev noted the significant progress which the COMESA CC has made in relation to merger control by publishing financial thresholds for mandatorily notifiable transactions and specified filing fees, as well as publishing guidelines which clarify when a merger will have a sufficient regional dimension to fall within the COMESA CC’s jurisdiction. On the topic of harmonisation, Rajeev discussed the challenges due to a lack of harmonisation between COMESA and its member states and noted that COMESA does not have exclusive jurisdiction in the cases which do fall within its jurisdiction. Parties, therefore, may find themselves being required to file a merger both before the COMESA CC as well as before the respective national authorities. A further challenge facing the COMESA CC is that there are 19 member states and consequently, the relevant geographic market is significant. Accordingly, often the national authorities are best placed to evaluate a merger and will therefore defer the evaluation of the merger to the relevant national authority. On the role of economic assessments, Rajeev stated that an economic assessment underlies any merger evaluation and that both the Mauritius Competition Commission and the COMESA Competition Commission conducts a comprehensive economic assessment of a merger. When asked on what role public interest considerations play in merger control in terms of the South African competition regime, Wendy indicated that the framework of the Competition Act specifically requires the competition authorities to consider the impact that a merger may have on the four specified public interest provisions contained in the Act. Wendy confirmed that an evaluation of public interest considerations may both justify a merger despite the merger likely being likely to cause a substantial lessening or prevention of competition in the market, alternatively, public interest considerations may lead to a prohibition or the imposition of conditions on a merger which raises no competition law concerns and may in fact be pro-competitive. Wendy recognised that there is a need, however, for greater certainty in respect to the manner in which the South African authorities evaluate public interest considerations and pointed out that the Competition Commission is likely to finalise and publish its guidelines on the public interest assessment in an effort to promote greater certainty. On prior the issue of prior implementation, Wendy pointed out that merging parties need to be mindful of the consequences of gun-jumping and noted that the South African Competition Tribunal has imposed administrative penalties, as in the Netcare case, on parties for failing to notify a mandatorily notifiable transaction. Anne discussed the Competition Authority of Kenya’s (CAK) willingness to focus not only on merger control but has also identified the CAK’s increasing tendency to investigate and prosecute firms engaged in restrictive practices (as demonstrated by the recent dawn raids conducted by the CAK in the fertiliser industry). Despite the CAK’s growing confidence, Anne pointed out that in respect of merger control, the CAK is open to and in fact often relies on precedent from foreign jurisdictions when evaluating a merger. In particular, Anne noted that public interest grounds are specifically considered during the merger review procedure and that in this respect, the CAK largely takes the lead from the South African competition authorities. From a practical perspective, Anne mentioned that the CAK usually requests a meeting with the merging parties soon after a transaction has been notified, and that usually representatives from the merging parties, along with local external legal counsel, should be present. The CAK prefers that the representatives present should be the best placed to answer or address the CAK’s queries. This often necessitates representatives from the parent company being present as opposed to representatives from the subsidiary entities only. The direct contact between the CAK and the merging parties is quite different from the manner in which the COMESA CC evaluates mergers where the consideration of a merger is done solely on the papers and any communication between the COMESA CC and the merging parties is done through the merging parties’ local external counsel. As to legislative developments, Anne pointed out that the merger regulations in Kenya now provide that for purposes of establishing a “change of control”, it is sufficient if the acquiring firm is able to materially influence the commercial decisions of the target firm. Accordingly, the acquisition of a minority shareholding for instance may constitute a change of control if the holders of such shares may for instance exercise veto rights. On COMESA, Anne mentioned that the COMESA CC permits merging parties to seek a comfort letter when unsure as to whether a merger requires filing and that the use of comfort letters has been rather prevalent. 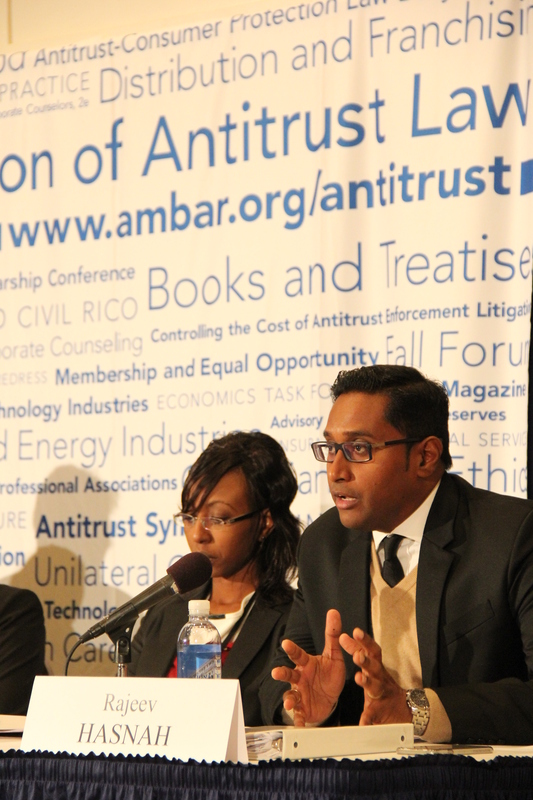 The role of public interest considerations in merger control was a dominant focus point throughout the panel discussion due to this unique aspect in a growing number of African jurisdictions merger control provisions. Please click on the following link to access a an article on the role of public interest considerations in merger control in South Africa, which addresses in particular, the impact of ministerial intervention in merger proceedings and the concomitant impact which such intervention has on the costs, timing and certainty of merger proceedings. The agreement between The Coca-Cola Company, SABMiller and Gutsche Family Investments to combine their soft-drink bottling operations in Southern and East Africa has been met with the proposal of onerous merger conditions. The new bottling company, Coca-Cola Beverages Africa, will bottle 40% of Africa’s Coca-Cola beverages with operations in 12 countries. Minister of Economic Development, Ebrahim Patel has, after considering the public interest issues in mergers, expressed concern on the effect of the merger on small businesses, supplier industries, employment and investment. The Competition Commission (the “Commission”), on the advice of Minister Ebrahim Patel, has recommended that the merger only be approved subject to a list of onerous conditions. One of these conditions stipulate that the merging parties invest R650m to support the development of black-owned retailers, small suppliers and developing farmers. Taking into account the above-mentioned section of the Competition Act it is yet to be determined how the R650m investment was calculated or the specific justification of such an onerous condition. In addition, other recommended conditions include requirements on employment and black economic empowerment (BEE) as well as allowing retailers who are given Coca-Cola branded fridges free of charge to stock the fridges with products made by rival companies. The Commission’s concerns have arisen despite the merging parties’ consideration for public interest issues. The proposed merger, according to the Commission, is said to have a negative impact on employment and BEE. This has been expressed even though the merging parties have undertaken not to retrench employees as a result of the merger, except for 250 identified employees. In addition the parties have made a commitment to increasing their BEE shareholding. The Commission has further expressed concern about the negative effect the merger will have on suppliers, namely the weakening of their negotiating position, despite the merging parties’ undertaking to buy certain products (tin cans, glass and plastic bottles, packaging crates and sugar) from local suppliers. In light of the above, the Commission’s recommended conditions to the Competition Tribunal, on the advice of Patel, seem far-reaching, leaving the merging parties with a heavy burden of complying with such onerous conditions. The recommendation to apply these burdensome conditions has caused delays and the proposed merger has not yet been finalised. Under the Namibian Competition Act (the “Act”), which came into law in April 2003, the term “merger” covers all three common types of M&A activity, as well as joint ventures; above certain thresholds, a merger becomes compulsorily notifiable. On December 21, 2015, the Namibian Ministry of Industrialisation, Trade and SME Development, in accordance with the powers conferred upon it under s43(1) and (2) of the Act, published a notice containing remarkable changes to the thresholds triggering the application of the merger regulations under the Act and thereby a compulsory notification. or, the cumulated value of the assets of one entity, and of the annual turnover of the other. Yet even if one of those values exceeds N$30 million, the operation need not be notified if either the asset value of the annual turnover of the transferred undertaking is equal to or valued below N$15 million. In other words, M&A targeting relatively small firms will not need to be notified, no matter how large the acquiring entity may be. Yet the new notice maintains the possibility for the enforcement agency, the Namibian Competition Commission (the “Commission”), which came into operation in December 2008, to demand notification of a merger falling below those thresholds, if it considers it necessary to deal with the merger in terms of the Act. Although the rationale of this provision is relatively clear, its phrasing raises questions as to the way it should be implemented. It is reasonable to believe that this regulation simply aims at allowing the Commission to investigate in all cases it deems useful. Indeed, the purpose of the thresholds is to sort out the potentially hazardous operations, as a form of “pre-selection” so as to avoid obstructing the Commission. But those thresholds should not bear the adverse consequence of preventing the Commission to exercise its control when it has reasonable grounds to consider that a “smaller” operation may cause harm to competition. The notice lacks explicitly stated and pre-determined factors that could lead the Commission to such a finding, a loophole that arguably leaves way for arbitrary decisions. This goes against international best practices, as reaffirmed once again in a 2005 OECD report, considering that the criteria to determine whether a merger must be notified should be clear and objective. Furthermore, it is unclear how the Commission could determine that a “small” merger needs to be notified, prior to any investigation. If this regulation simply requires the firms to provide the Commission with the information that would be asked in case of a mandatory notification, it is regrettable to make this unnecessary detour instead of recognising the Commission’s powers to request relevant documents and information as part of its general investigatory function. As for the modification of the thresholds themselves, recent commentaries have praised the initiative, describing it as a “positive development”. The explanatory note accompanying the Government notice referred, in particular, to the Recommended Practices of the International Competition Network (the “ICN”), together with comparative studies and analysis of the past efficiency of the thresholds’ level, as the basis for this reform. Indeed, one of the first recommendations of the ICN is that “merger notification thresholds should incorporate appropriate standards of materiality as to the level of ‘local nexus’ required for merger notification”. The first comment of the ICN working group on this recommendation states that “each jurisdiction should seek to screen out transactions that are unlikely to result in appreciable competitive effects within its territory”. In particular, the material sales or assets level within the territory shall be important enough to justify the additional transaction costs entailed by the obligation to notify the operation. In the case of Namibia in particular, a UNCTAD peer review conducted in 2014, while acknowledging the “fairly good competition law as enshrined in the Competition Act”, recommended a revision of the Namibian merger control. In particular, the UNCTAD report advocated for a review upwards of merger notification thresholds. In that regards, the Commission’s initiative is much welcome. Indeed, the UNCTAD report praised the Act for taking into account special requirements of the country’s economy, characterised by small undertakings. Arguably, the revised thresholds go a step further in this positive direction. The public statistics on the Commission’s achievements show that since its setting up in 2009, the Commission’s M&A division has handled over 200 mergers. In November 2015, the Commission announced that it received a total of 60 merger notifications, of which 48 were approved during the current financial year of 2015/2016. The announced total value or purchase consideration for these merger notifications was about N$23,2 billion, and N$19,2 billion for the 48 approved mergers. Yet since “about 99%” of the total purchase consideration paid during the first quarter was one transaction, the relevance of the revised thresholds appears clearly. Going from 44 notifications in 2014 to 15 filings last year, the Competition Commission of the COMESA common-market area has seen a dramatic decline in merger filings. Our updated AAT COMESA MergerMania statistics are therefore as follows (again noting the fact that AAT bases its count on only the official, published and available merger documents, instead of relying on mere press release-based summaries published by the CCC). We also note that to date, 2016 has seen one “merger inquiry notice,” namely of the Dutch Yara / Zambian Greenbelt fertiliser deal. The public-comment period for that transaction expires on January 22, 2016. During the year 2015, the Commission assessed and cleared 15 merger transactions. The transactions involved sectors such as insurance, food additives, water treatment, agro-chemical, banking, telecommunication, non alcohol-ic beverage, publishing, packaging and retail. The Commission handled 12 merger notifications in the year 2013 and 44 merger notifications in the year 2014. The Pie Chart below shows the number of mergers handled by the Commission from inception to date. As shown in the pie chart the Commission dealt with more mergers in 2014 as compared to 2013 but this trend has gone down in 2015. This trend may be attributed to the supposition that in 2013, the Commission had just commenced operations and therefore some stakeholders were not immediately aware of its existence and operations. By 2014, most stake-holders had become aware of the Commission and its operations, hence the significant increase in the number of mergers notified. The significant reduction in 2015 can be attributed to the supposition that the merger notification thresholds approved by the Council of Ministers on 26 March 2015 which has resulted in smaller mergers escaping the notification. Before 26 March 2015, the merger notification thresholds were Zero hence all mergers were notifiable regardless of size.